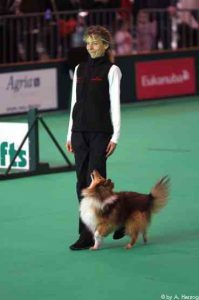 Who does not dream now and then of presenting his or her dog on the famour green carpet of Crufts? 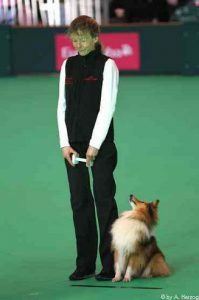 This dream came true for Fabio and me: We qualified for the team representing Germany in the Crufts´ Obedience World Cup in March 2012. I am so indescribably proud of my big boy. The very preparations of this mayor event gave so much pleasure to us. Thanks to all, who supported us with words and deeds. Without you we would not have gotten the opportunity to make this experience. Special thanks go to the members of our team who trusted in us so deeply. Now for it! Keep your fingers crossed that I can hold my nerves and that I do not stand in my boy´s way all too much … He will surely work his socks off for me. But one´s for sure: However this day might end, we will enjoy every single second of it and will not forget it forever! Thanks to Anne Herzog for the nice pictures.